I have listed a new property at 7327 MAGNOLIA TERR in Burnaby. Please visit our Open House at 7327 MAGNOLIA TERR in Burnaby. With the sales-to-active-listings ratio at 14 per cent, the region remains in balanced market territory. “If you’re looking to sell your home in a balanced market, it’s critical that your list price is reflective of current market conditions,” Wyant said. Sales of detached properties in January 2014 reached 728, an increase of 34.3 per cent from the 542 detached sales recorded in January 2013, and a 10.5 percent increase from the 659 units sold in January 2012. 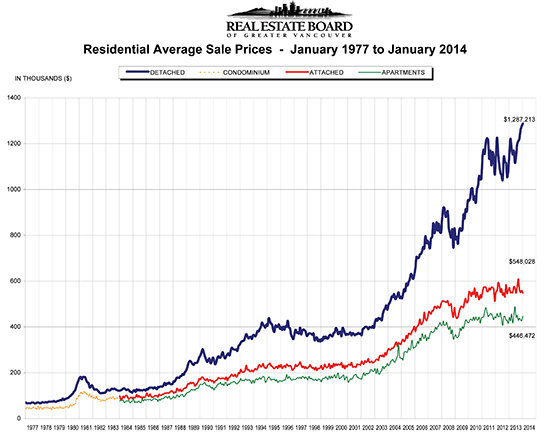 The benchmark price for a detached property in Greater Vancouver increased 3.2 percent from January 2013 to $929,700. Sales of apartment properties reached 753 in January 2014, an increase of 30.7 per cent compared to the 576 sales in January 2013, and an increase of 14.6 percent compared to the 657 sales in January 2012. The benchmark price of an apartment property increased 3.7 percent from January 2013 to $371,500.